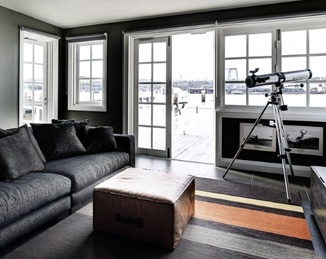 Creating a picturesque scene or telling a lengthy story isn’t always something that must be put to paper. 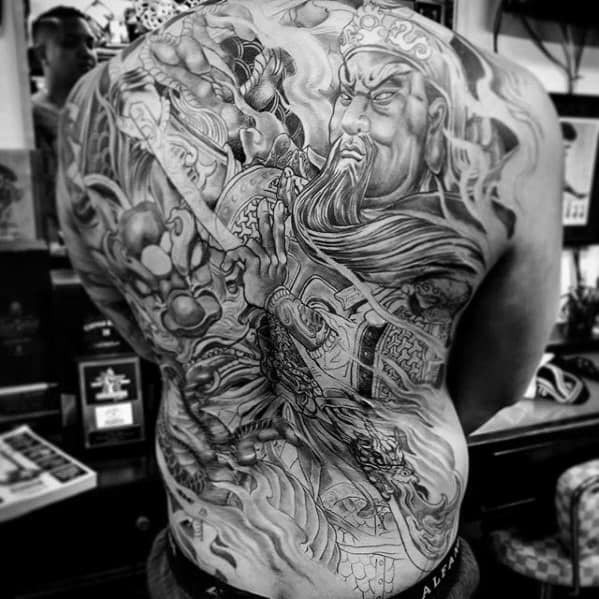 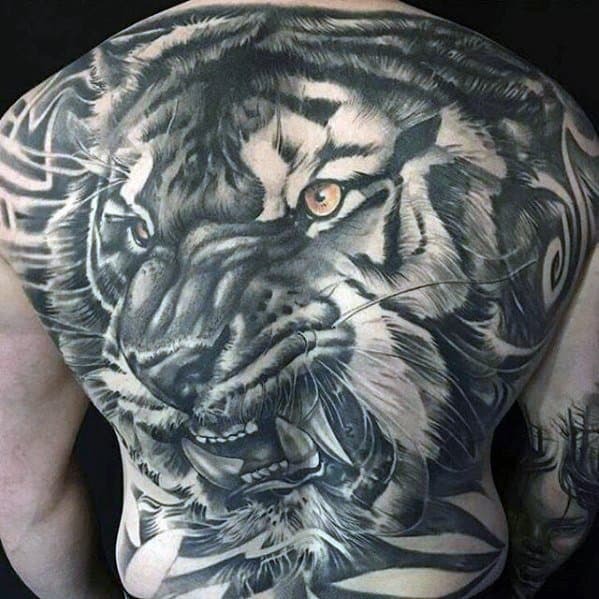 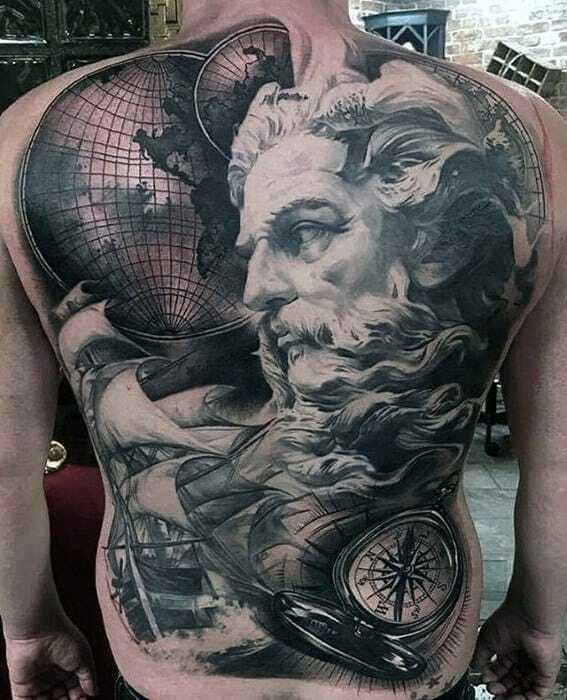 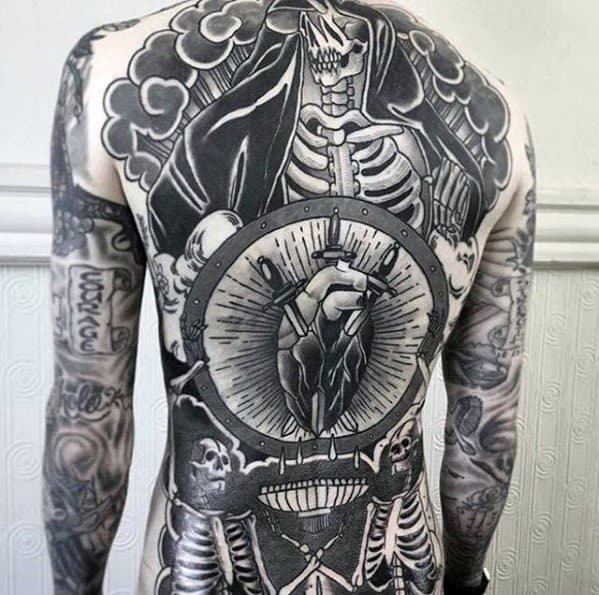 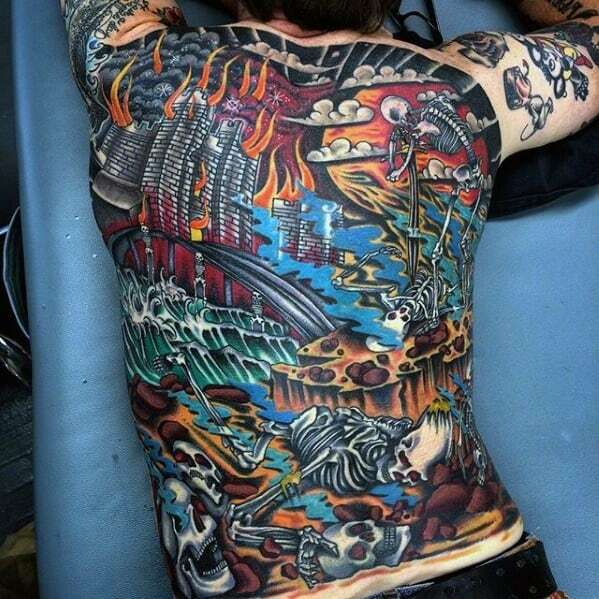 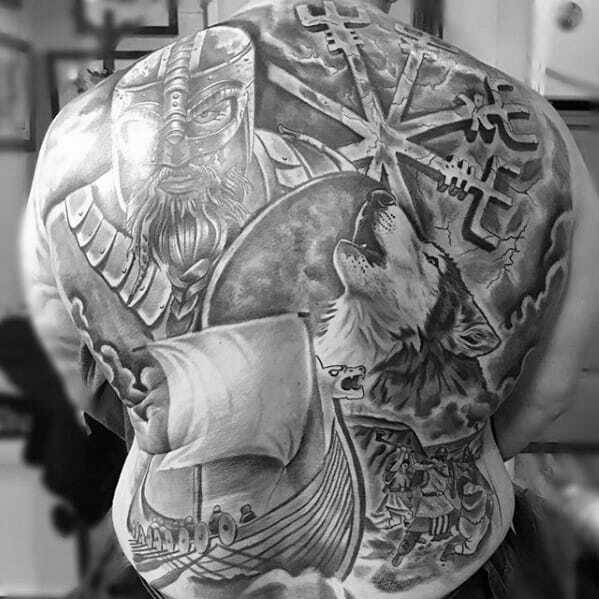 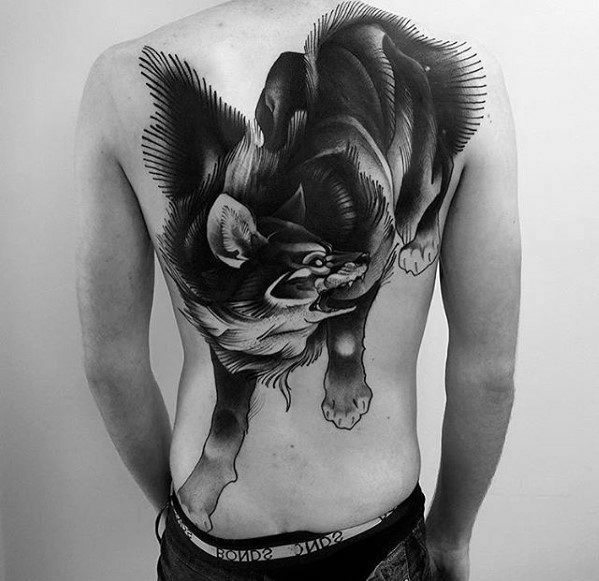 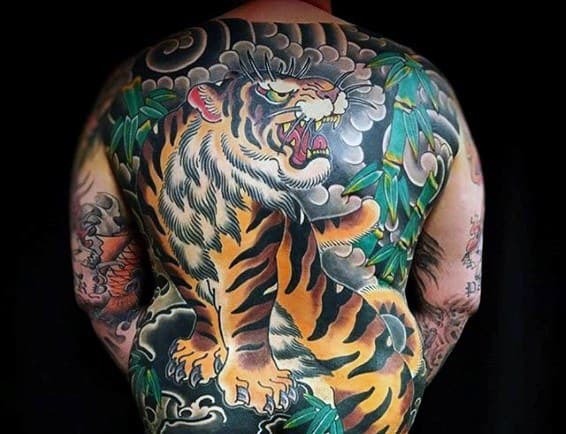 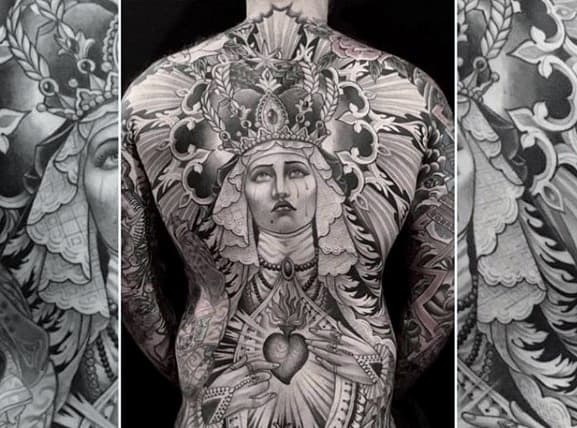 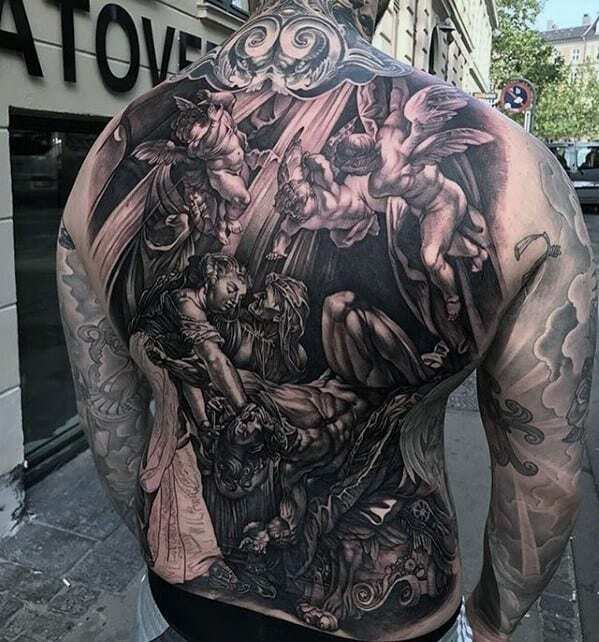 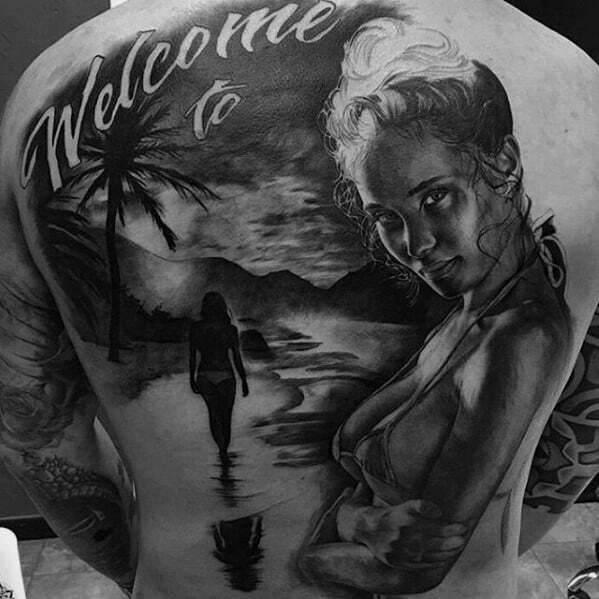 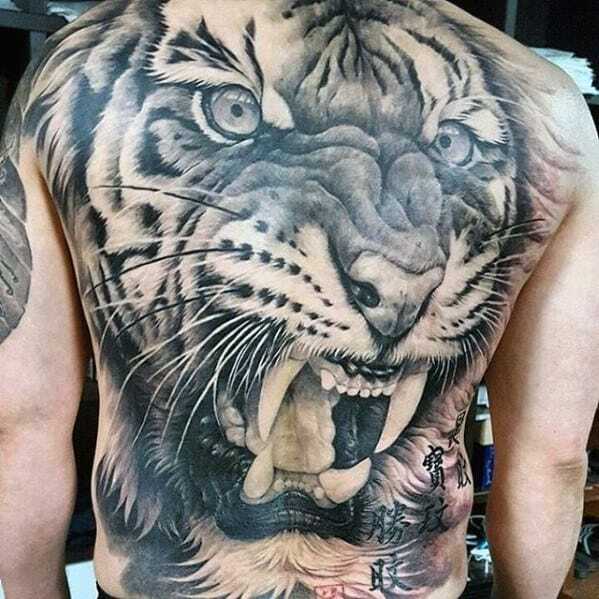 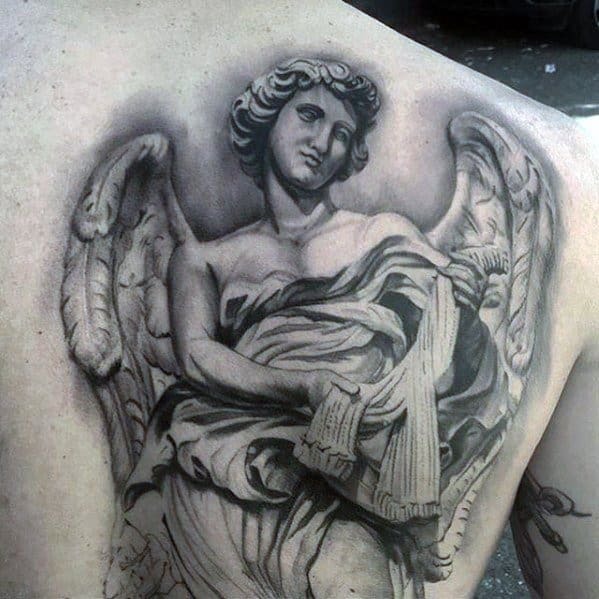 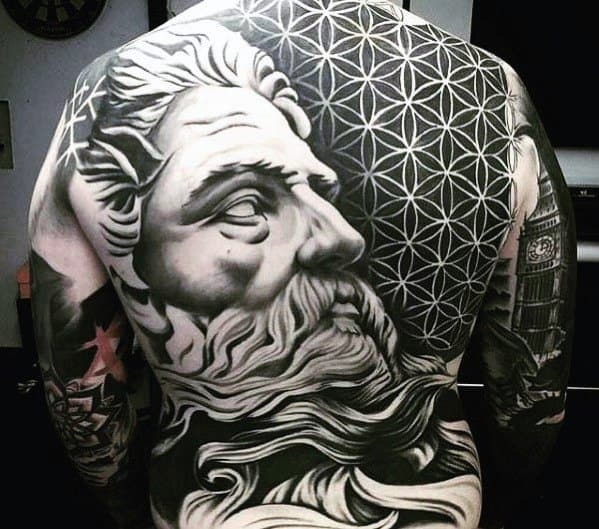 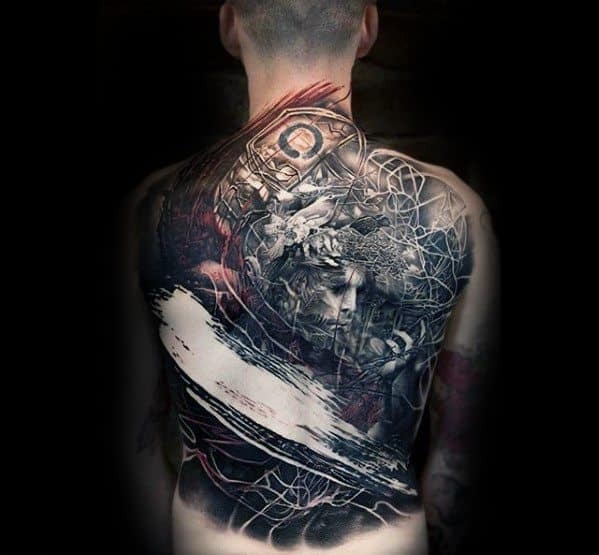 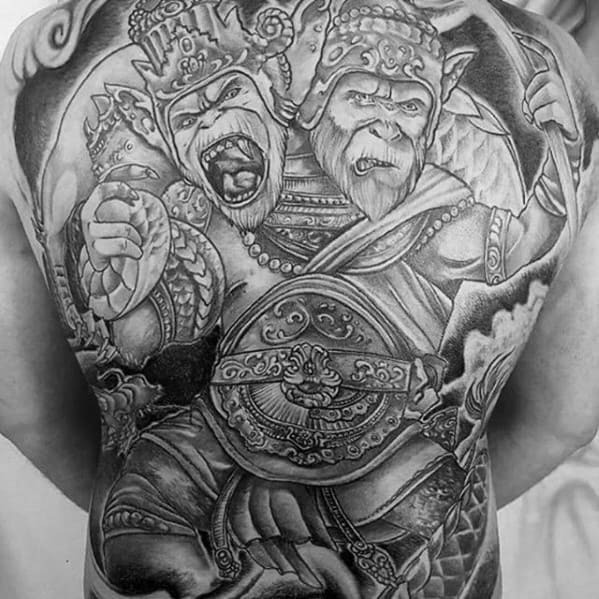 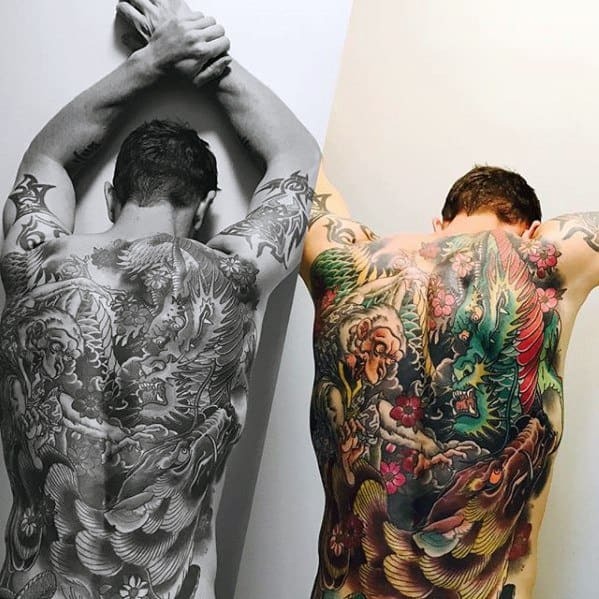 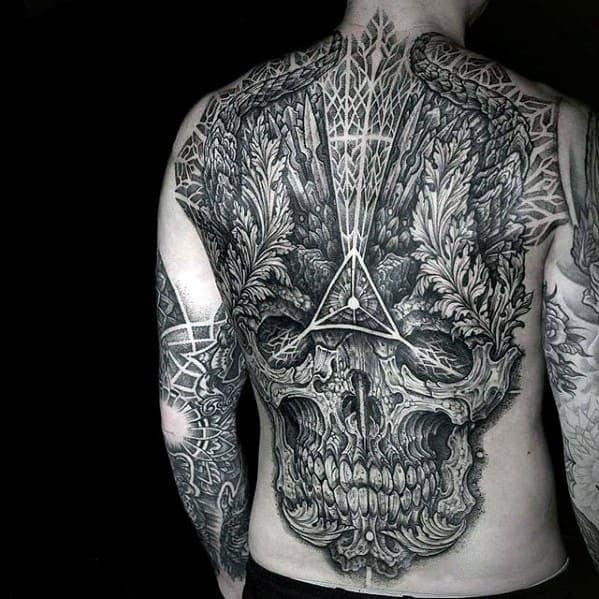 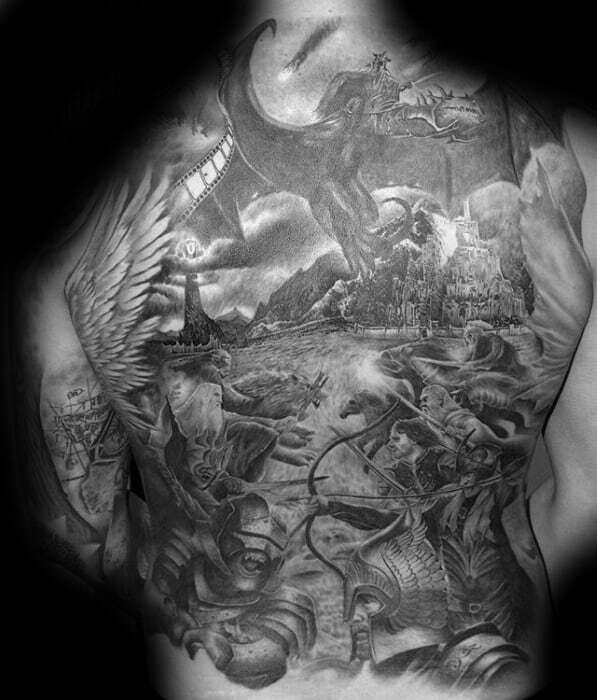 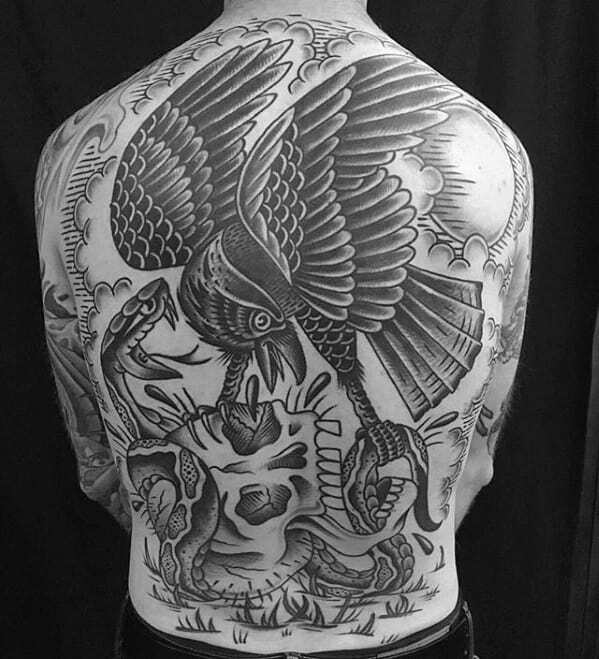 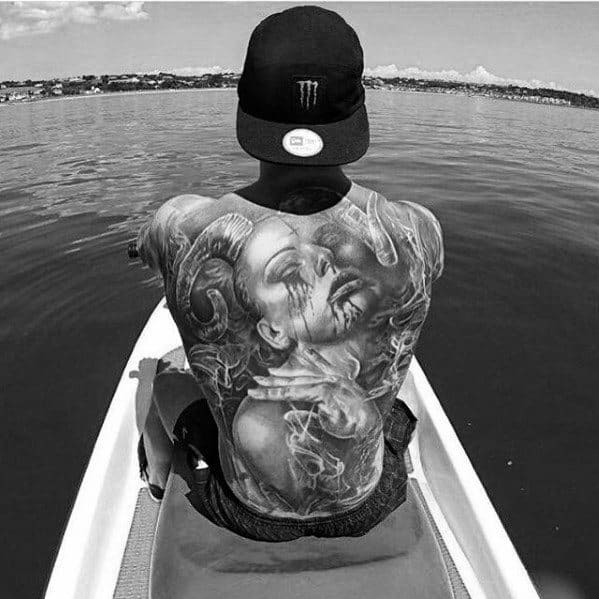 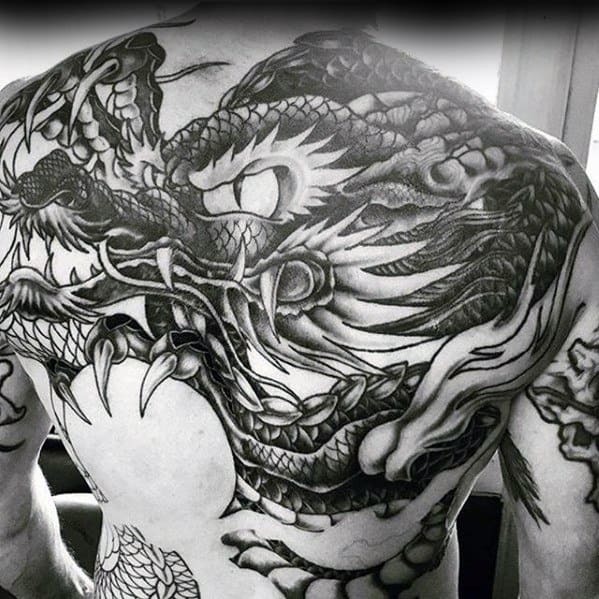 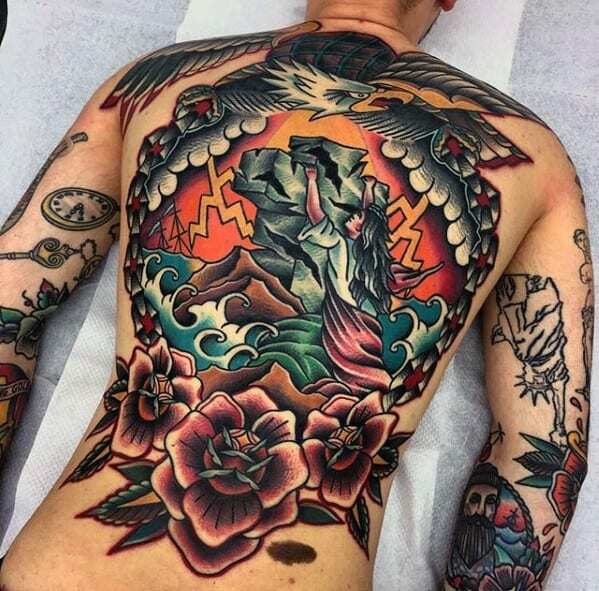 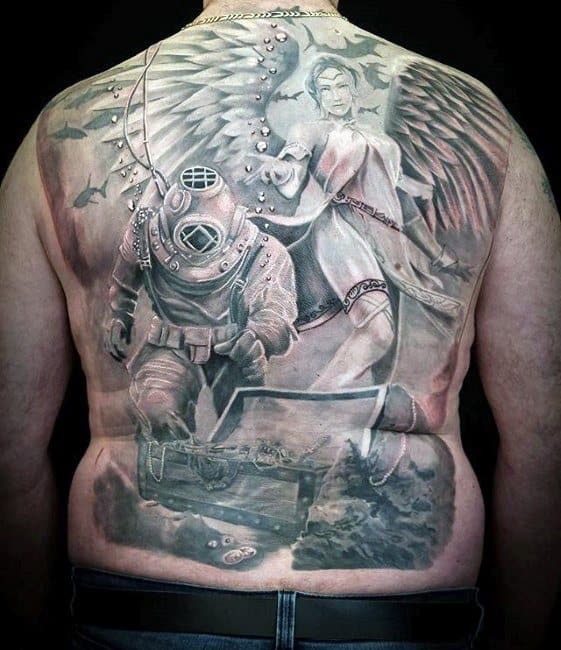 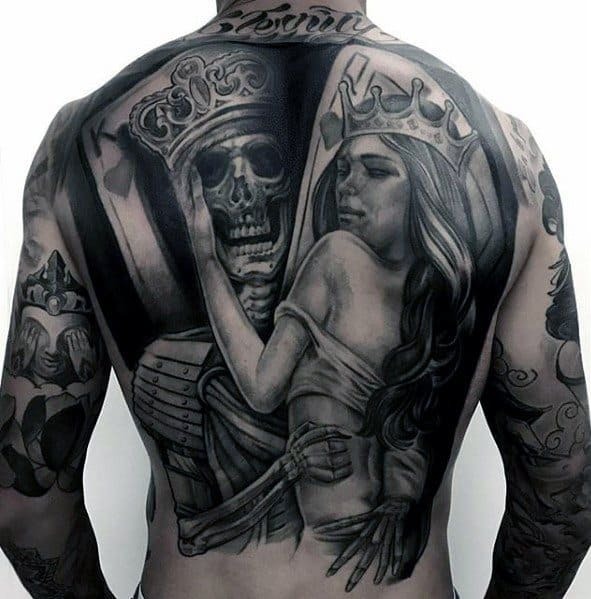 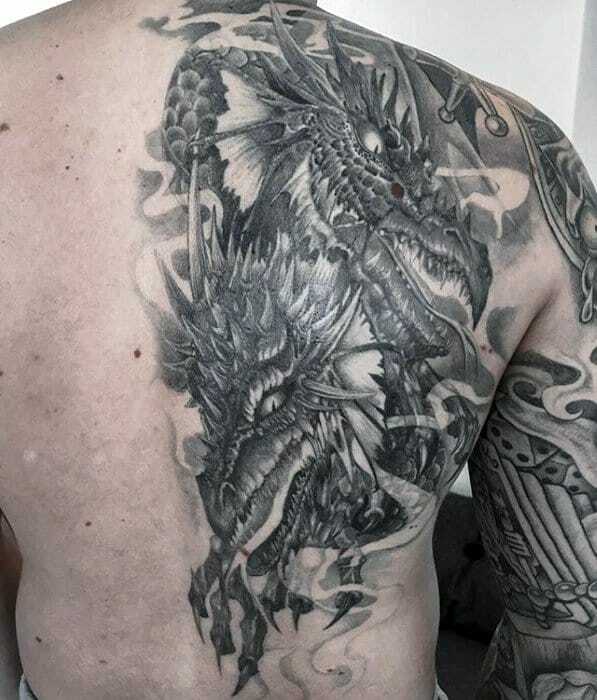 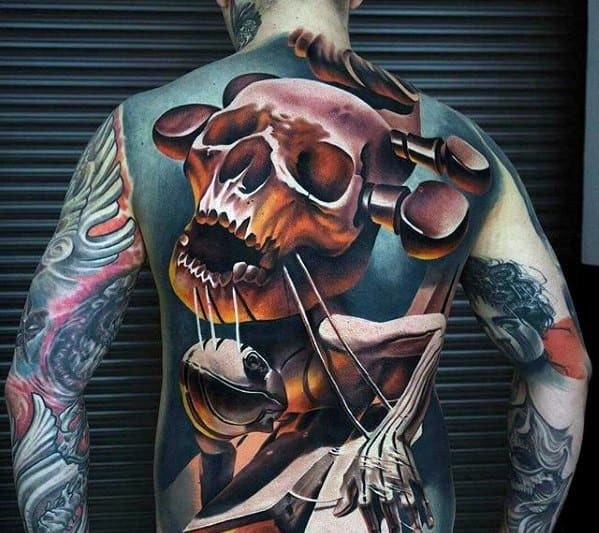 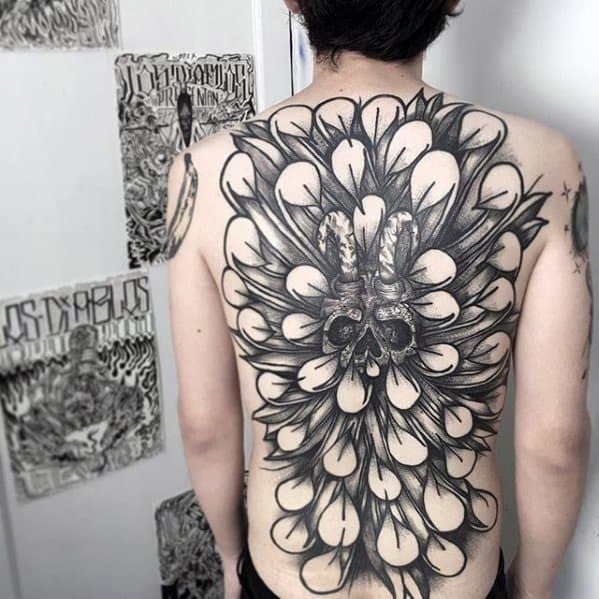 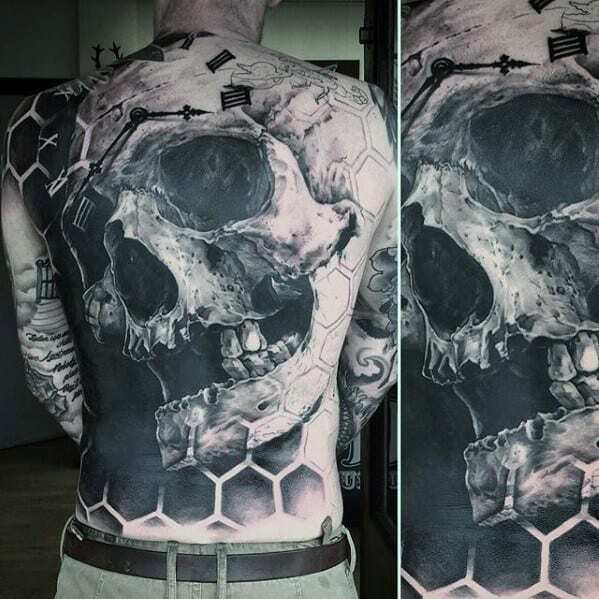 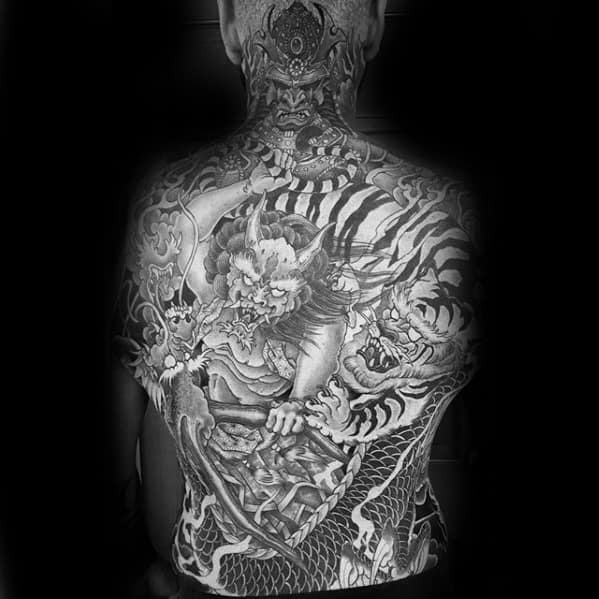 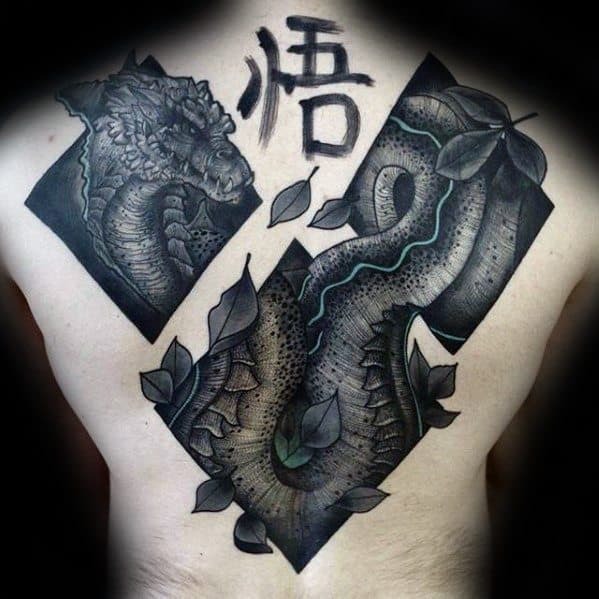 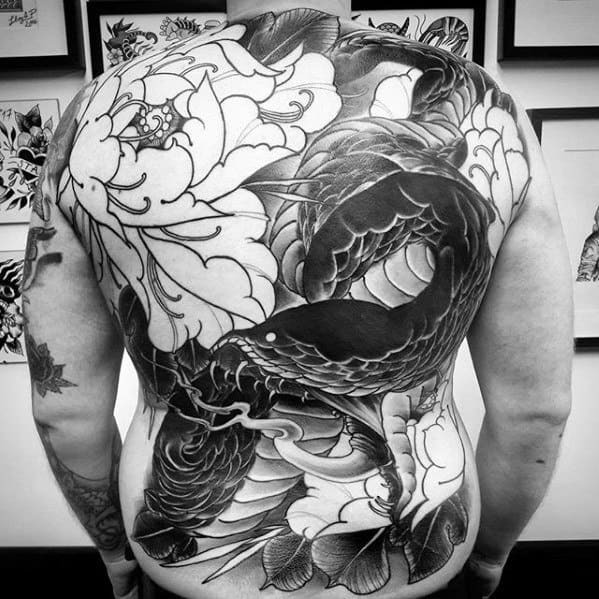 The body represents a canvas for tattooed brilliance and the back marks the largest easel for an artist’s work. 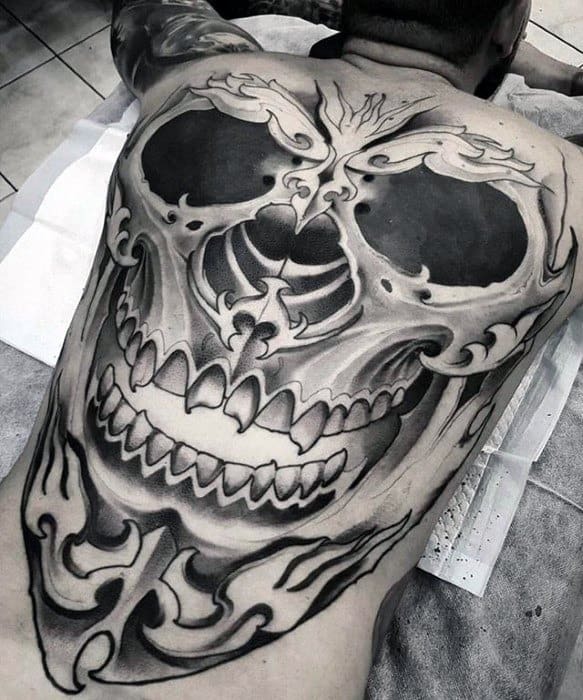 This defined surface represents the cover of a novel awaiting a unique design. 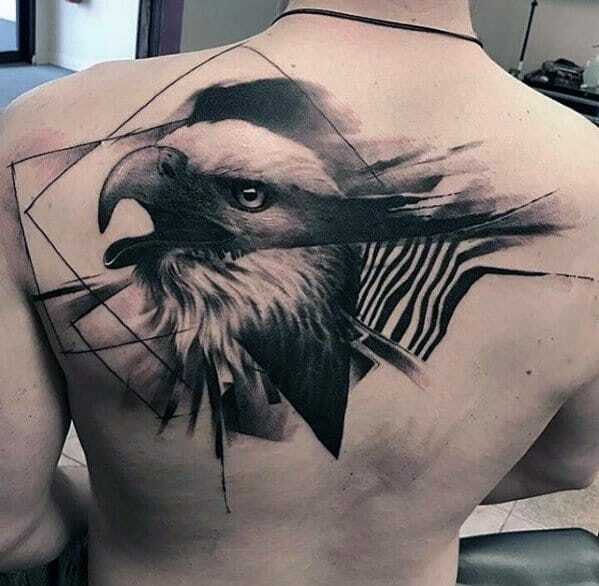 The shoulder blades can be used to depict a sense of inner strength with feathered wings or other such graceful symbolism. 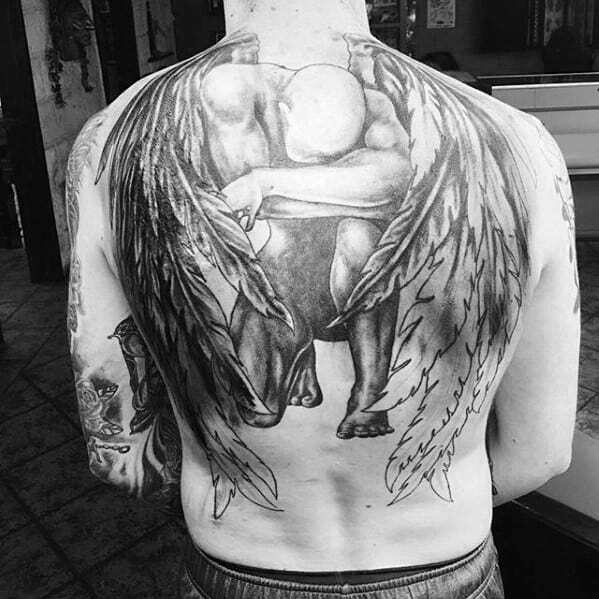 The lower back can be used as the support system to hold the piece on high and keep the visualism on a level playing field. 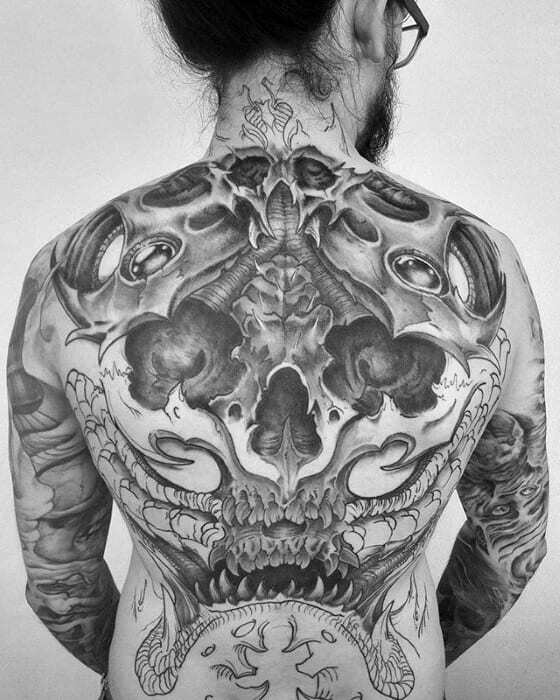 The entire surface area of the back helps bring life to a creation containing a story that is dying to be told to the masses. 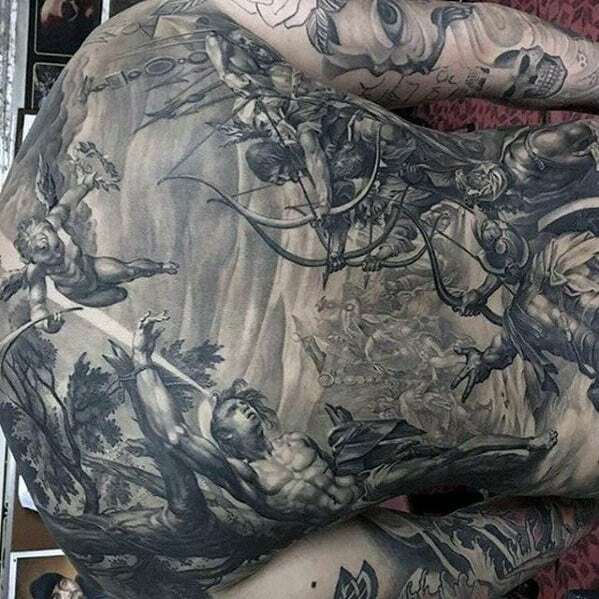 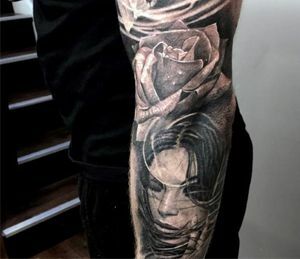 It can also create a sense of wonder by using a collection of distant relative creations coming together to form one eye-popping celestial ink work, begging for a new meaning surrounded by colorful word play. 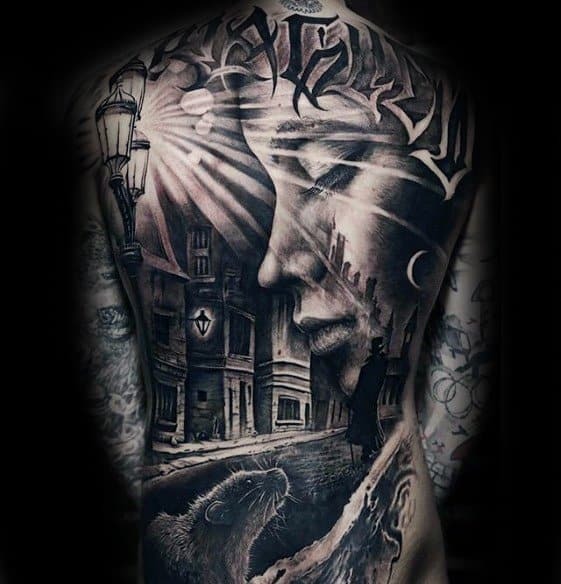 The scene is yours to create, so fuel it with your passions, deep interests, and other such items you hold near and dear to your beating heart.